Make sure the dough isn’t too dry. Moisture is necessary to create the steam. Let the yeast do their thing and allow enough time for the dough to rise properly. Preheat your baking sheet or stone. 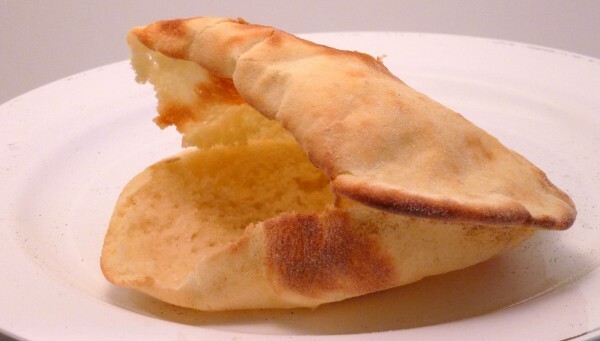 The pita needs as much heat as quickly as possible. No peeking! If you open the oven to check on the pita, you will be releasing the steam necessary to puff it up.Try to get the pita in the oven and shut the door as quickly as possible to keep that heat in. *If you prefer to use whole wheat flour, you may do so but will have better results if you use 1 cup whole wheat flour + 2 cups AP flour or even half whole wheat, half AP. It is more difficult to make bread with whole wheat flour because the bran cuts through the gluten strands. This results in a more dense and less elastic dough. If using whole wheat flour you may need to adjust the amount of water you add. The amount of water absorbed by flour differs depending on a flour’s protein content. Dissolve sugar in 1/2 cup warm water (approx. body temperature). If the water is too hot you could kill the yeast! Sprinkle yeast on top and allow to sit for 10 minutes. Mix to ensure all yeast is dissolved. Make a well in the middle of the flour and add the yeast mixture. Mix with a spatula and slowly add more water until flour is incorporated. You can also do this with a stand mixer and dough hook. I tried using the dough hook attachment on my KitchenAid for the very first time and it worked really well! Once a ball of dough is formed, knead the oil into the dough. Punch down dough and pinch off 8 sections. Roll each piece into a ball and cover with a damp tea towel. Allow to rest for 30 minutes. Meanwhile, preheat oven to 500 F (260 C) or even hotter if your oven can. 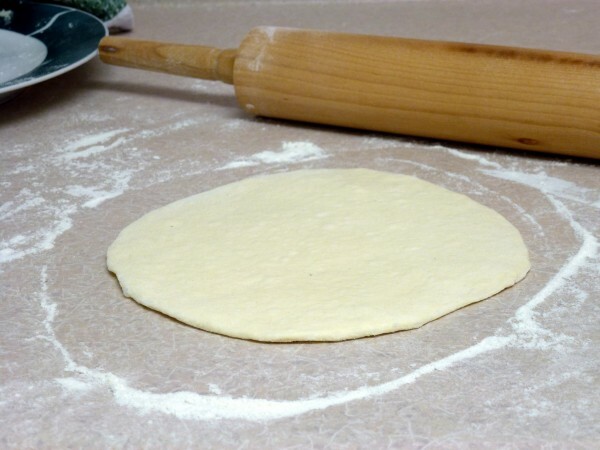 Roll out dough on a floured surface until about ½ cm thick. 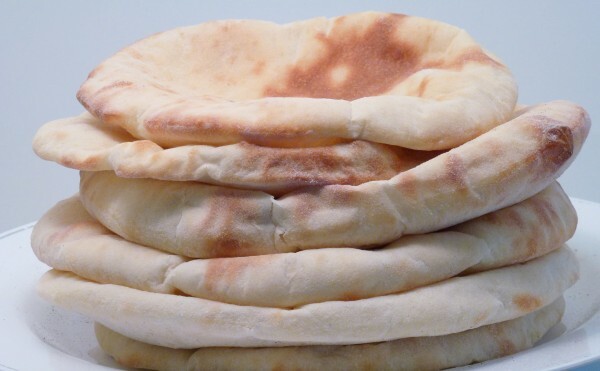 When rolling, don’t let the rolling pin go over the edge of the pita, always keep at least ½ cm in front of the pin. Transfer pita to baking tray and bake for approx 5 min (or until puffed up and golden on top). In the first few minutes in the oven (before the pita puffs up) it is important not to open the oven. 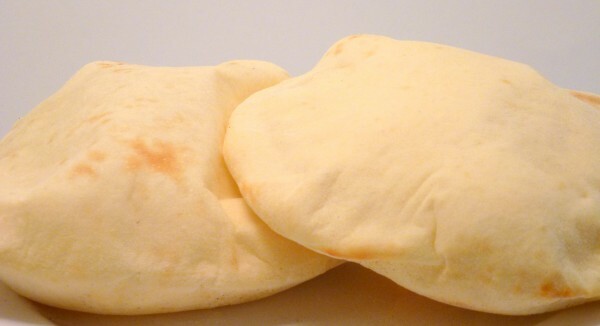 Remove pita from oven and immediately cover with a damp tea towel and then in storage bag to prevent them from drying out.